← RC Weald of Kent, who keep on walking, walking, walking………….! 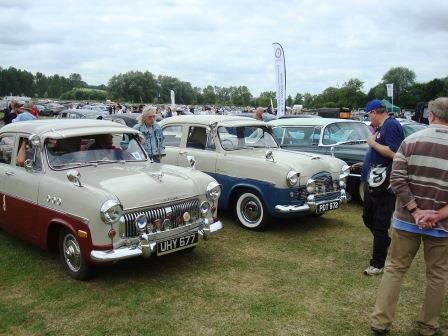 The cars were the stars……. Oh! and Senlac members helped a bit too! Bodiam Castle is again the setting for that (now rather large) summer event that is the ‘RC Senlac Classic Car Show’ This year they had a record number of cars, military vehicles, and motor-bikes, and a large number of visitors on a warm, if cloudy day. Indeed they recorded the highest gate ever! RC Senlac members turned out in force to man the gates, and the ‘Yellow men’ stand. (Amongst other duties). They had their own pub – ‘Senlac Arms’ (wouldn’t you know! 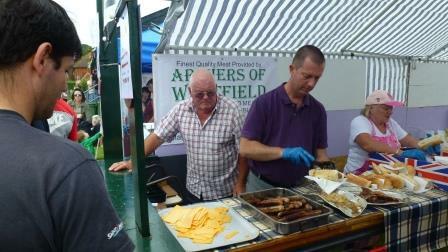 ), and their own barby stand – hot work eh lads! ~Whoops, and lasses! A very good time was had both by members and the public. And the bottom line? 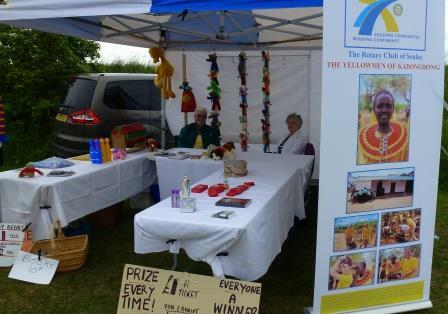 a net £19K for the charities – the beneficiaries: Medical Detection Dogs, Hastings & Rother Samaritans, the Yellowmen of Kadongdong (of course), and for other Senlac Rotary causes. 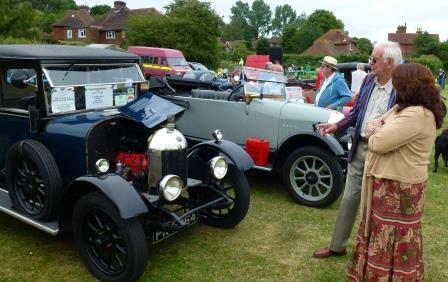 Here is RCS member Rod Farrow with his? Bull-nose Morris, talking to a visitor. Well done to all concerned, I wanted to go! Next year perhaps. This entry was posted in Rotary Club Senlac, Uncategorized. Bookmark the permalink.